As the 33rd Virginia Duals comes to a close and to have Fauquier participate in this Grand Daddy of all wrestling tournaments for the 7th straight year, fans inside the Hampton Coliseum were kept on edge. To understand it you have to see it and live it. 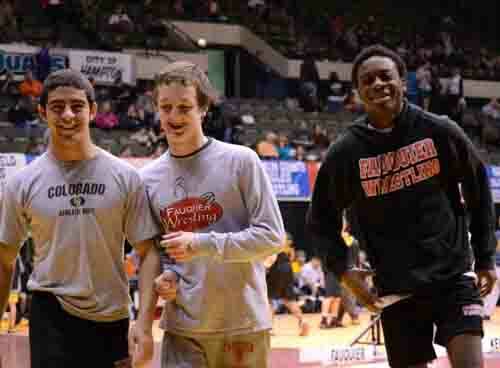 Hosted by the Peninsula Wrestling Association (PWA), The Virginia Duals is enriched with much history nested right at the midway of the wrestling season. 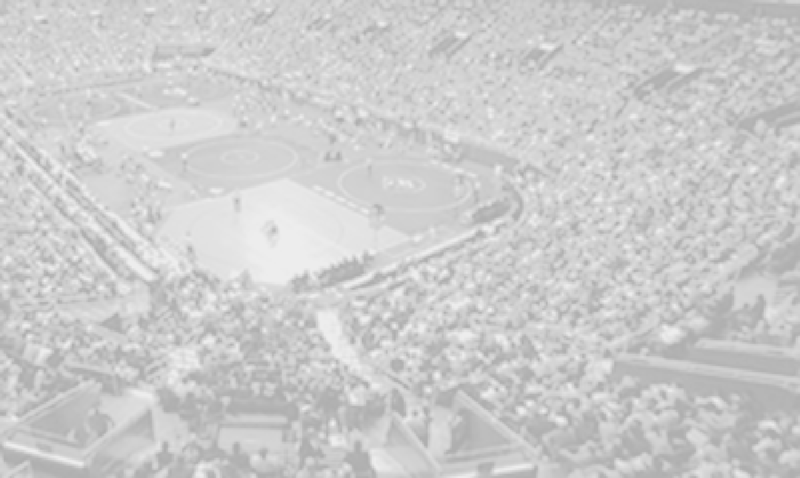 The Duals brings in some of the best teams from all across the state and the country to battle head-to-head right alongside the elite college wrestling programs in a dual team tournament. Although it has not been an easy year for Coach Fisher as key starters have been out with injuries, the Falcons had much to gain by attending and displaying to all their talented and seasoned wrestlers. Over the years Fauquier had competed in the top level National HS Division and as of the past two years have wrestled in the America HS Divisions as the Falcons took a 2nd place finish in 2010. 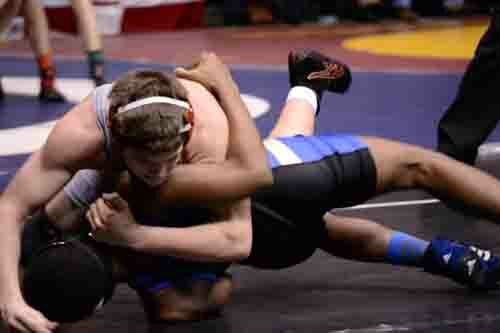 The 2013 Virginia Duals placed Fauquier in the Black and Blue HS. Division as this was really the first time that Fauquier had ever been aligned to compete in the high school division. A closer look at the 48 teams showed the common person that there were obviously more out of state power house teams that had entered this national ranked tournament then in past years. Simply taking a closer look at the Black and Blue Division, you found teams like AAA Nansemond River, AA Poquoson, AA Eastern View, AAA Princess Anne, AA Tabb, and AAA Western Branch that currently have many state ranked kids that sprinkle among each of these squads. One could also agree that this year�s Black and Blue Division low level division could have been one of the toughest it has ever been. 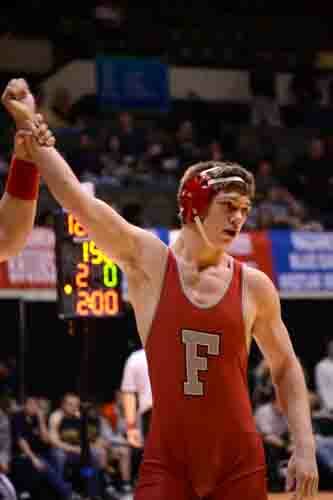 But not here to talk about toughness yet simply Fauquier wrestling. Seeded number 1 Fauquier faced off against Phoebus in the first round as they won the match 60 to 21 with no major problems. But in the next round of the championship quarters, Fauquier had the lead through the whole match but did not have enough muscle to hold onto the win over Nansemond River with a 33 to 38 final. The Falcons then found themselves on the consolation side of the Black and Blue bracket matched-up against AA Tabb High School. Again just like the last match Fauquier jumped out to an early lead and held it going into the 285lb match where the score was 33 to 28 favoring Fauquier. 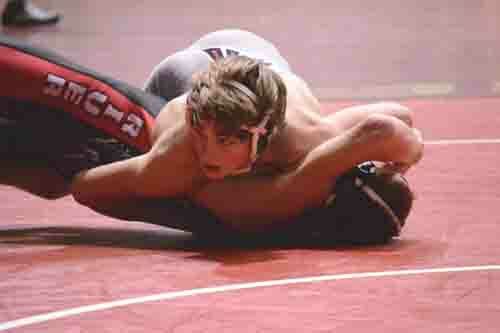 But Fauquier could not hold off Tabb as they fell 33 to 34 to end the dual tournament for the Falcons. In both of these loses Fauquier worked hard on the mat and went 7 and 7 as the difference was sustaining and earning additional bonus points to extend some individuals match points. This is an area that Coach Fisher has been stressing to the team all year as they had come up short in these two matches. Some great wrestling performances came from sophomore Daniel Ariola who had 1 pin, Freshmen Garrett Tingen who had 2 pins, senior Ben Brady who had 2 pins, and senior Max Strum who wrestled up at 195lb for all three of his matches and had 3 pins. All of these wrestlers went 3 and 0 while at the Duals and their effort showed. Three other wrestlers Caleb Strum, Jake Hilleary, and Matt Raines all went 2 and 1 and also assisted in the team�s ability to keep Fauquier in these matches. Coach Fisher in most cases had to shift Max Strum up to 195 classifications to best fit the team�s chances. Trying to align or match the team�s strength in a dual match with the opposing team at times can be tricky as every wrestler knows their role whenever the step on the mat--to win. Even though the team ended up going 1-2 and was bumped out much to earlier than any Falcon wrestler wanted too, lacing and tying ones shoes before they step out on the wrestling mat and strives to work hard through an entire six minute match is this teams responsibility and oblation. History will show you that the Falcons will fight for every point. Simply reviewing each match will show areas for improvements as Coach Fisher and this 2012-13 team will have to review these missed opportunities and build on them. To prepare for the post season and the district, regional, and state tournament, the Virginia Duals is an over the top event that is in the path that aids in preparing each wrestler for the post season. Fauquier Nation fans who attended the 2013 Virginia Duals must have had been thrilled to see the team battle and compete. To be center stage at the Duals you better come ready to wrestle and have talent and the supporting cast of 14 wrestlers to be successful in moving forward. To see and witness the state�s best brings on a trill and a belief that one must work harder to improve. The Falcons will take much away from this experience in hopes to come back next year to take stake at the Grand Daddy of all tournaments. Below is the match results of Fauquier at Falcons Virginia Duals. 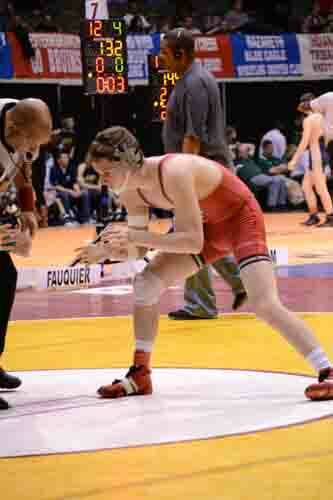 Match notes: Fauquier went 7 and 7 with 4 pins. Match notes: Fauquier went 7 and 7 with 3 pins.